Robert Capa. 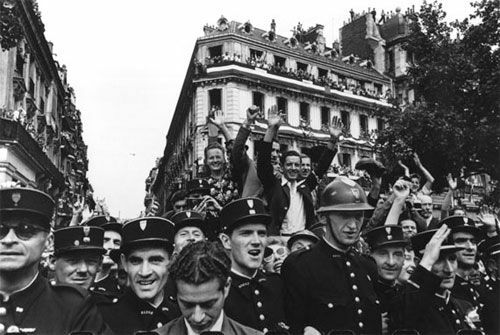 Crowds fill up the Champs Elysees to celebrate the liberation (1944)Robert Capa. Crowds fill up the Champs Elysees on the 26th August 1944 to celebrate the liberation of Paris (1944) | Top 5 Pic! ← Top 5 Robert Capa Paris Liberation Shots!